Diwali or Dipavali is festival of lights with row of lamps. It is also spelled as Divali and Deepavali. It is a Hindu festival of lights through clay lamps, which is celebrated every autumn in the northern hemisphere (spring in southern hemisphere). Generally, Diwali signifies the spiritual “victory of light over darkness, good over evil and knowledge over ignorance.” Diwali means “row or series of lights” as per Sanskrit language. The conjugated term is derived from the Sanskrit words DIPA, “lamp, light, lantern, candle, that which glows, shines, illuminates or knowledge” and AVALI, “a row, range, continuous line, series”. The festival of Diwali typically lasts five days, with the climax occurring on the third day coinciding with the darkest night of the Hindu lunisolar month Kartika. In the Gregorian calendar, the festival usually falls between mid-October and mid-November. The five-day festivity is witnessed every year in early autumn after the conclusion of the summer harvest and coincides with the new moon, known as the amāsvasya – the darkest night of the Hindu lunisolar calendar. The celebrations begin two days before amāsvasya, on Dhanteras, and prolongs two days after, the second day of the first fortnight of the month of Kartik. As per Hindu calendar, this night ends the lunar month of Ashwin and begins the month of Kartika. The darkest night is the peak of the celebration and coincides with the second half of October or early November in the Gregorian calendar. 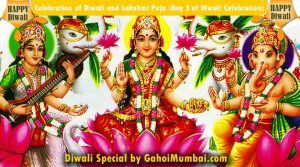 Main Diwali is celebrated on third day in 5 days’ celebration. It is an official holiday in various countries, while the other celebratory days are locally observed as either public or optional restricted holidays in India. In Nepal, it is called the Tihar festival by Hindus and Swanti festival by Buddhists. For this auspicious day, everybody does cleaning, refurbishing, and decoration in their houses and offices. Our significant places as Temples, homes, shops and office buildings are luminously brightened during the festival. 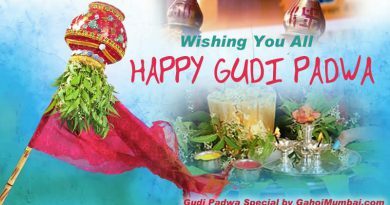 During this festival, people put on finest clothes, light up the interior and exterior of their houses with diyas (oil clay lamps or candles), offer puja (worship) to Lakshmi, the goddess of prosperity and wealth, light fireworks, and partake in family dinners, where mithai (sweets) and gifts are exchanged. Diwali is also a main cultural festival for the Hindu and Jain diaspora from the Indian subcontinent. Actually Diwali is a five days’ festival as stated in early Sanskrit texts. Diwali is customarily celebrated eighteen days after the Dussehra festival with Dhanteras, marking the first day of the festival when worshippers prepare by cleaning their houses and making decorations on the floor, such as colourful rangoli. 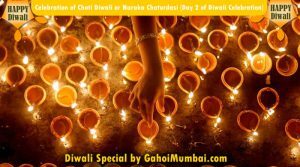 The second day is Choti Diwali, or equivalent in north India, while for Hindus in the south of India it is Diwali proper. Generally, western, central, eastern and northern Indian communities witness Diwali on the third day and the darkest night of the traditional month. 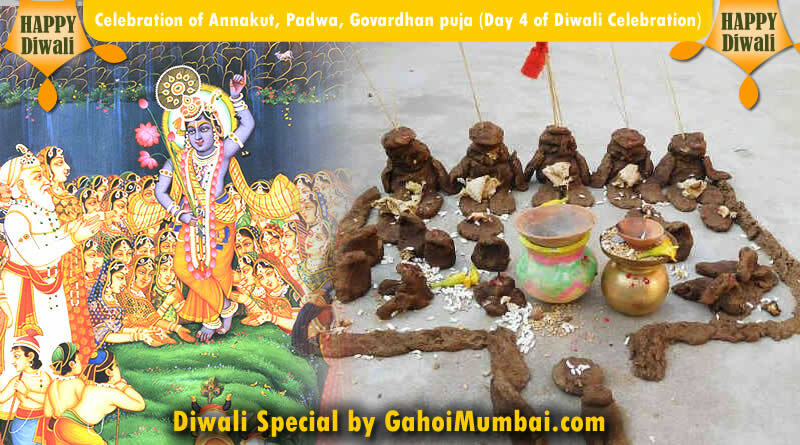 In a few parts of India, the day after Diwali that is 4th day, is marked with the Govardhan Puja and Diwali Padva, which is devoted to the relationship between wife and husband. A few Hindu communities mark the last day as Bhai Dooj, which is devoted to the union between sister and brother, while other Hindu and Sikh craftsmen communities mark this day as Vishwakarma Puja and witness it by doing maintenance in their work places and offering prayers. Some other faiths in India also celebrate their respective festivals alongside Diwali. The Jains observe their own Diwali, which marks the final liberation of Mahavira, the Sikhs celebrate Bandi Chhor Divas to mark the release of Guru Hargobind from a Mughal Empire prison, while Newar Buddhists, unlike other Buddhists, celebrate Diwali by worshiping Lakshmi. The festival of Diwali is an official holiday in Fiji, Guyana, India, Malaysia (except Sarawak), Mauritius, Myanmar, Nepal, Singapore, Sri Lanka, Suriname, and Trinidad and Tobago. In ancient India, Diwali is marked as harvest festival. It is specified in Sanskrit texts such as the Padma Purana, the Skanda Purana both of which were completed in the second half of the 1st millennium CE. The diyas (earthen lamps) are mentioned in Skanda Purana as symbolising parts of the sun, describing it as the cosmic giver of light and energy to all life. As per history, King Harsha refers to Deepavali, in the 7th century Sanskrit play Nagananda, as Dīpapratipadotsava (dīpa = light, pratipadā = first day, utsava = festival), where lamps were lit and newly engaged brides and grooms received gifts. Rajasekhara mentioned to Deepavali as Dipamalika in his 9th century Kavyamimamsa, in which he references the tradition of homes being whitewashed and oil lamps decorated homes, streets and markets in the night. 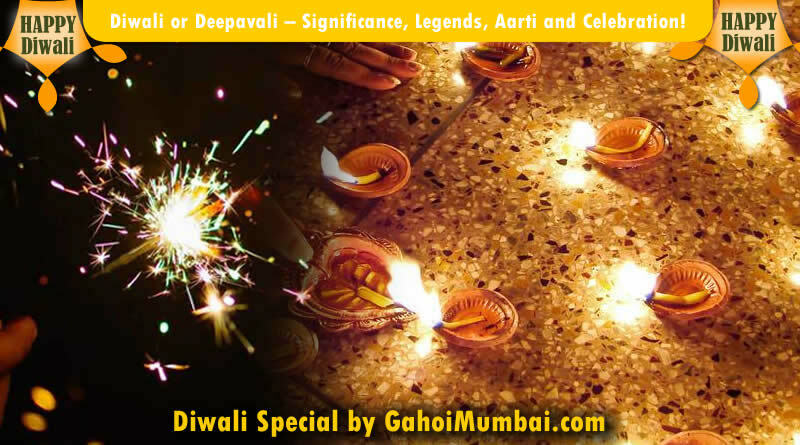 As per travellers history, Diwali was also defined by many travellers from outside India. In his 11th century memoir on India, the Persian traveller and historian Al Biruni wrote of Deepavali being celebrated by Hindus on the day of the New Moon in the month of Kartika. The Venetian merchant and traveller Niccolò de’ Conti visited India in the early 15th-century and wrote in his memoir, “on another of these festivals they fix up within their temples, and on the outside of the roofs, an innumerable number of oil lamps… which are kept burning day and night” and that the families would gather, “clothe themselves in new garments”, sing, dance and feast. The 16th-century Portuguese traveler Domingo Paes shared as his visit to the Hindu Vijayanagara Empire, where Dipavali was celebrated in October with householders illuminating their homes, and their temples, with lamps. As per Islamic historians, Delhi Sultanate and the Mughal Empire era also revealed about Diwali and other Hindu festivals. As per history, Mughal emperor Akbar also welcomed and participated in the festivities but others banned such festivals as Diwali and Holi, as Aurangzeb did in 1665. As per British History, the British colonial era also made reference of Diwali, such as the note on Hindu festivals published in 1799 by Sir William Jones, a philologist known for his early observations on Sanskrit and Indo-European languages. In his paper on The Lunar Year of the Hindus, Jones, then based in Bengal, well-known four of the five days of Diwali in the autumn months of Aswina-Cartica as the following: Bhutachaturdasi Yamaterpanam (2nd day), Lacshmipuja dipanwita (the day of Diwali), Dyuta pratipat Belipuja (4th day), and Bhratri dwitiya (5th day). The Lacshmipuja dipanwita, commented Jones, was a “great festival at night, in honor of Lakshmi, with illuminations on trees and houses”. Diwali is celebrated by Hindus, Jains, Sikhs and Newar Buddhists, although for each faith it marks different historic events and legends, but in all communities, Diwali represents the symbolic victory of light over darkness, knowledge over ignorance, and good over evil. 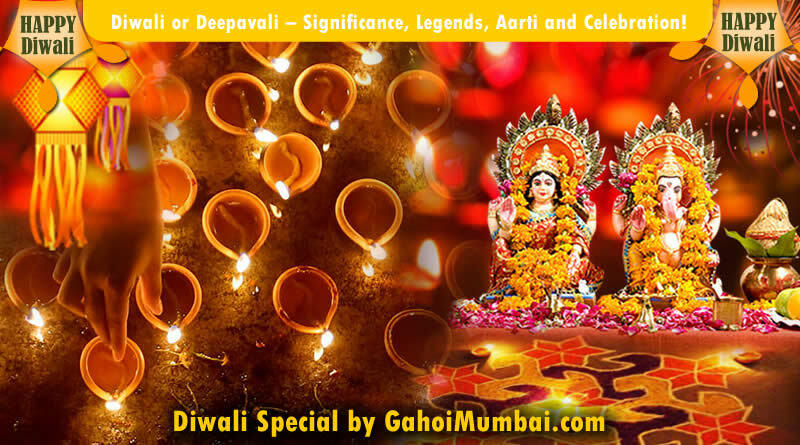 Auspicious Diwali is celebrated in the honour of Lakshmi, the goddess of wealth. The spiritual significance of Diwali differs regionally within India. The festival is marked as diversity of deities, traditions, and symbolism in various Hindu communities. As per Constance Jones, the local autumn harvest festivals that fused into one Pan-Hindu festival with a shared spiritual significance, ritual and local traditions. As per legends in the Hindu epic Ramayana, where Diwali is the day Rama, Sita, Lakshmana and Hanuman reached Ayodhya after a period in exile and Rama’s army of good conquered demon king Ravana’s army of evil. As per other legends, Numerous Hindus associate the festival with Lakshmi, the goddess of wealth and prosperity, and wife of Vishnu. As per Pintchman, the start of the 5-day Diwali festival is stated in some popular existing sources as the day Goddess Lakshmi was born from Samudra manthan, the churning of the cosmic ocean of milk by the Devas (gods) and the Asuras (demons) – a Vedic legend that is also found in numerous Puranas such as the Padma Purana, while the night of Diwali is when Lakshmi chose and marry Vishnu. Along with Lakshmi, who is symbolic of Vaishnavism, Ganesha, the elephant-headed son of Parvati and Shiva of Shaivism tradition, is recalled as one who symbolises ethical beginnings and the remover of obstacles. In eastern India, this festival is associated with the goddess Durga, or her fierce avatar Kali (Shaktism), who symbolises the victory of good over evil. Hindus from the Braj region in northern India, parts of Assam, as well as southern Tamil and Telugu communities view Diwali as the day the god Krishna overcame and destroyed the evil demon king Narakasura, in yet another symbolic victory of knowledge and good over ignorance and evil. As per history, trade and merchant families and others also worshiped Saraswati, who symbolizes music, literature and learning and Kubera, who represents book-keeping, treasury and wealth management. As per some other legends, in western states such as Gujarat, and certain northern Hindu communities of India, the festival of Diwali indicates the beginning of a new year. As per Lindsey Harlan, an Indologist and scholar of Religious Studies, Diwali celebration is the path to overcoming the “darkness of ignorance”. The telling of these legends are a reminder of the Hindu belief that good ultimately triumphs over evil. Well-known Jeffrey Long, a scholar of Jain and Hindu studies, mentions that in Jain tradition, Diwali is celebrated in observance of “Mahavira Nirvana Divas”, the physical death and final nirvana of Mahavira. The Jain Diwali celebrated in numerous parts of India has similar practices to the Hindu Diwali, such as the lighting of lamps and the offering of prayers to Lakshmi. But, the emphasis of the Jain Diwali remains the dedication to Mahavira. This exercise of lighting lamps first began on the day of Mahavira’s death in 527 BCE according to the Jain tradition, where 18 kings who had gathered for Mahavira’s final teachings issued a proclamation that lamps be lit in commemoration of the “great light, Mahavira”. Religious community Sikhs celebrate Bandi Chhor Divas in commemoration of the release of Guru Hargobind from the Gwalior Fort prison by the Mughal emperor, Jahangir, and the day he arrived at the Golden Temple in Amritsar. According to J.S. Grewal, a scholar of Sikhism and Sikh history, Diwali in the Sikh tradition is older than the sixth Guru Hargobind legend. Guru Amar Das, the third Guru of the Sikhs, built a well in Goindwal with eighty-four steps and requested Sikhs to bathe in its sacred waters on Baisakhi and Diwali as a form of community bonding. After some time, these spring and autumn festivals became the most important of Sikh festivals and holy sites such as Amritsar became central location for annual pilgrimages. The festival of Diwali, according to Ray Colledge, highlights three events in Sikh history: the founding of the city of Amritsar in 1577, the release of Guru Hargobind from the Mughal prison, and the day of Bhai Mani Singh’s martyrdom in 1738 as a result of his failure to pay a fine for trying to celebrate Diwali and thereafter refusing to convert to Islam. Auspicious Diwali is not a festival for most Buddhists, with the exception of the Newar people of Nepal who worship various deities in the Vajrayana Buddhism and celebrate Diwali by offering prayers to Lakshmi. Newar Buddhists in Nepalese valleys also celebrate the Diwali festival over five days, in much the same way, and on the same days, as the Nepalese Hindu Diwali-Tihar festival. As per traditional ritual, Diwali celebration by Newar Buddhists in Nepal, through the worship of Lakshmi and Vishnu during Diwali, is not syncretism but rather a reflection of the freedom within Mahayana Buddhist tradition to worship any deity for their worldly betterment. Customary preparations for Diwali start days or weeks in advance, normally after the festival of Dusshera that precedes Diwali by about 20 days. The festival ceremoniously starts two days before the night of Diwali, and ends two days after that. We are here giving information about each day related rituals and significance. Auspicious Dhanteras, derived from Dhan meaning wealth and teras meaning thirteenth, marks the thirteenth day of the dark fortnight of Kartik and the commencement of Diwali. On this day, several Hindu’s clean their homes and offices. They install diyas, tiny earthen oil-filled lamps that they light up for the next five days, near Lakshmi and Ganesha idols. Women and children beautify doorways within homes and offices with rangoli, colourful designs made from rice flour, flower petals and coloured sand, while the boys and men beautify the roofs and walls of family homes, markets and temples. The day also marks a main shopping day to buying new utensils, home equipment, jewelry, firecrackers and other items. On the evening of Dhanteras, peoples offer prayers (puja) to Lakshmi and Ganesha, and lay offerings of puffed rice, candy toys, rice cakes and batashas (hollow sugar cakes). As per a legend, Dhanteras is a sign of annual renewal, cleansing and a promising beginning for the next year. The term “Dhan” for this day also refers to the Ayurvedic icon Dhanvantari, the god of health and healing, who is believed to have emerged from the “churning of cosmic ocean” on the same day as Lakshmi. Some communities, mainly those active in Ayurvedic and health-related occupations, pray or perform havan rituals to Dhanvantari on auspicious Dhanteras. Auspicious Choti Diwali, also known as Naraka Chaturdasi, is the second day of celebrations coinciding with the fourteenth day of the second fortnight of the lunar month. The term “choti” means little, while “Naraka” means hell and “Chaturdasi” means “fourteenth”. The day and its ceremonies are interpreted as ways to liberate any souls from their suffering in “Naraka”, or hell, as well as a reminder of spiritual auspiciousness. For a few Hindus, it is a day to pray for the peace to the manes, or deified souls of one’s ancestors and light their way for their journeys in the cyclic afterlife. As per a mythological legend, this festive day is the destruction of the asura (demon) Narakasura by Krishna, a victory that frees 16,000 imprisoned princesses kidnapped by Narakasura. Naraka Chaturdasi is also a most important day for buying festive foods, particularly sweets. A variety of sweets are prepared using flour, semolina, rice, chickpea flour, dry fruit pieces’ powders or paste, milk solids (mawa or khoya) and clarified butter (ghee). As per preparations, these are then shaped into several forms, such as laddus, barfis, halvah, kachoris, shrikhand and sandesh, rolled and stuffed delicacies, such as maladu, susiyam, pottukadalai. Occasionally these are wrapped with eatable silver foil (vark). Confectioners and Sweets shops create Diwali-themed decorative displays, selling these in large quantities, which are stocked for home celebrations to welcome guests and as gifts. Peoples also prepare homemade sweets and delicious delicacies for the main Diwali day. Choti Diwali is also a day for visiting friends, business associates and relatives, and exchanging gifts. This day is normally celebrated as Diwali in Tamil Nadu, Goa and Karnataka. Some South Indian Hindus receive an oil massage and then take a ritual bath. Numerous visit their favorite Hindu temple. The third day of the festival coincides with the last day of the dark fortnight of the lunar month. This is the day when Hindu, Jain and Sikh temples and homes are shining with lights, thereby making it the “festival of lights”. As per traditions, the youngest members in the family visit their elders, such as grandparents and other senior members of the community, on this day. Companies and entrepreneurs give gifts or special bonus payments to their employees between Dhanteras and Diwali. Shops either do not open or close early on this day allowing employees to enjoy family time. Shopkeepers and small operations perform puja rituals in their offices and factories. In the evening, Peoples wear new clothes or their best attires, teenage girls and women in particular wear saris and jewelry. At dusk time, family members gather for the Lakshmi puja, although prayers are offered to other deities, such as Ganesha, Saraswati, Rama, Lakshmana, Sita, Hanuman, or Kubera. The lamps from the puja ceremony are then used to light more clay (earthen) lamps, which are placed in rows along the parapets of temples and houses, while some diyas are set to free on rivers and streams. After the puja, people go outdoor and celebrate by lighting up patakhe (fireworks) together, and then share a family meal and mithai (sweets, desserts). As per Bengali Hindu Community, the puja and rituals focus on Kali, the goddess of war, instead of Lakshmi. Textual indication advocates that Bengali Hindus worshipped Lakshmi before the colonial era, and that the Kali puja is a more recent phenomenon. On the night of Diwali, ceremonies across much of India are devoted to Lakshmi to welcome her into their cleaned homes and bring prosperity and happiness for the coming year. The very next day after Diwali is the first day of the bright fortnight of the luni-solar calendar. It is locally called as Annakut (heap of grain), Padwa, Goverdhan puja, Bali Pratipada, Bali Padyani, Kartik Shukla Pratipada and other names. As per traditional custom, the day is associated with the story of Bali’s defeat at the hands of Vishnu. In another legend, it is thought to mention the legend of Parvati and her husband Shiva playing a game of dyuta (dice) on a board of twelve squares and thirty pieces, Parvati wins. Shiva surrenders his shirt and adornments to her, rendering him naked. As per another legend, it is a Hindu metaphor for the cosmic process for creation and dissolution of the world through the masculine destructive power, as represented by Shiva, and the feminine procreative power, represented by Parvati, where twelve reflects the number of months in the cyclic year, while thirty are the number of days in its lunisolar month. This auspicious day ceremonially celebrates the bond between the wife and husband and in some Hindu communities, husbands will celebrate this with gifts to their wives. In other regions, parents invite a newly wedded daughter, or son, together with their spouses to a festive meal and give them gifts. As per another legend, in some rustic communities of the north, west and central regions, the fourth day is celebrated as Govardhan puja, honouring the legend of the Hindu god Krishna saving the cowherd and farming communities from incessant rains and floods triggered by Indra’s anger, which he accomplished by lifting the Govardhan mountain. This legend is recalled through the ritual of building small mountain-like miniatures from cow dung. The agricultural representation is also witnessed on this day by numerous Hindus as Annakut, literally “mountain of food”. Communities prepare over one hundred dishes from a variety of ingredients, which is then devoted to Krishna before shared among the community. 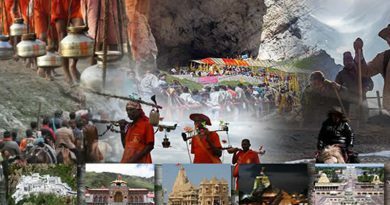 Hindu temples on this day prepare and present “mountains of sweets” to the faithful who have gathered for darshan (visit). In Gujarat, Annakut is the first day of the new year and celebrated through the buying of essentials, or sabras (literally, “good things in life”), such as salt, offering prayers to Krishna and visiting temples. 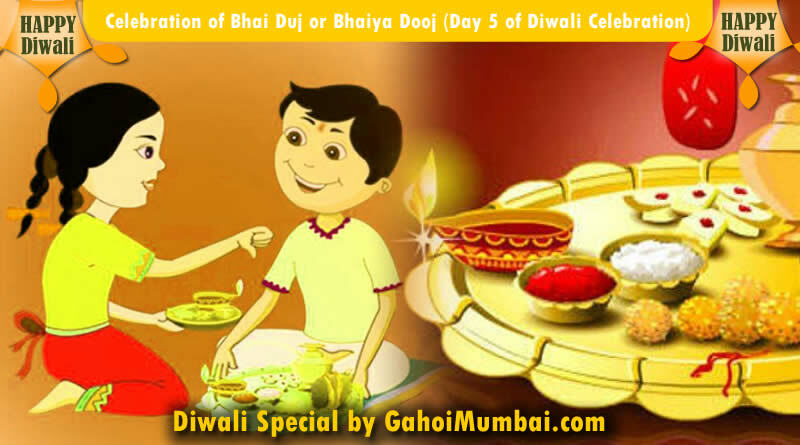 The auspicious last day of the festival is called Bhai duj or brother’s day or Bhai tilak. It marks as the sister-brother relationship, similar in spirit to Raksha Bandhan but it is the brother that travels to meet the sister and her family. This celebratory day is interpreted by some to signify Yama’s sister Yamuna welcoming Yama with a tilaka, while others interpret it as the arrival of Krishna at his sister’s, Subhadra, place after defeating Narakasura. Subhadra welcomes him with a tilaka on his forehead. The day signifies the sibling bond between brother and sister. On this day the womenfolk of the family gather, perform a puja with prayers for the well-being of their brothers, then return to a ritual of feeding their brothers with their hands and receiving gifts. As per Hindu traditions the women recite tales where sisters protect their brothers from enemies that seek to cause him either bodily or spiritual harm. In past times, this was a day in autumn when brothers would travel to meet their sisters, or invite their sister’s family to their village to celebrate their sister-brother bond with the bounty of seasonal harvests. The craftsperson Hindu and Sikh community rejoices the fourth day as the Vishwakarma puja day. Vishwakarma is the reigning Hindu deity for those in architecture, building, manufacturing, textile work and crafts trades. The looms, tools of trade, machines and workplaces are cleaned and prayers offered to these livelihood resources. Lakshmi Poojan is very famous puja done during Diwali. Diwali is the festival of lights and prosperity and it is performed for the blessings of Lakshmi which shower the household with plenty of wealth and happiness. It can be performed by anybody since Lakshmi is easily pleased. Puja plate, Roli, some raw rice, raw rice smeared with turmeric paste (akshat), Flower garlands and loose flowers for puja, Incense sticks, scent, a picture or image of Goddess Lakshmi (preferably with Ganesh and Saraswati), a red colour cloth, chawki, pan leaves and betel nuts, whole turmeric, some currency notes, silver coin, sweets and dishes, coriander seeds, cotton seeds and lotus flower seeds and a few earthen lamps. On the auspicious day, you should clean the home. All the doors decorate with tilaks of turmeric paste, akshat and vermilion. Gather the puja items in one place. In the place of puja, place the chawki and spread red cloth on it. 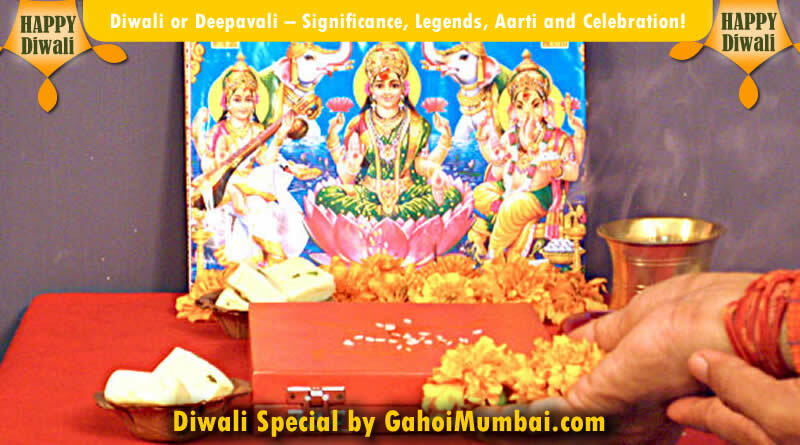 Place the picture or image of Goddess Lakshmi, Ganesh and Saraswati on the set up. In front of the photo of Lakshmi, make three heaps of raw rice. These heaps represent Vishnu, Kuber and Indra. The main lamp for the puja should be chosen in such a way that it can hold plenty oil to stay lit all over the night. Light the lamp and also the incense sticks. 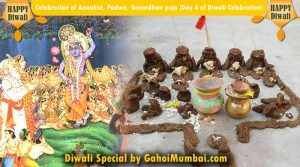 Start the puja with Ganesh puja with prayers to remove the obstacles. Take roli and akshat and put them like Tilak on the forehead of Ganesh. 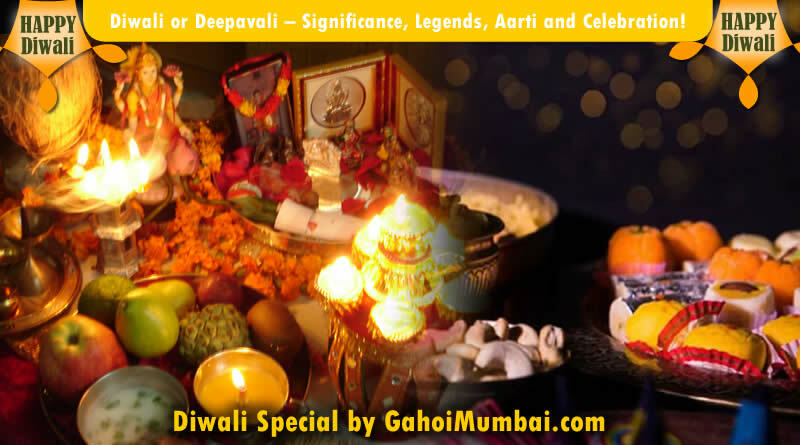 Offer the scent, flowers, sweets, dhoop, earthen lamp and dishes to Ganesha. Wave camphor in front of the idol and do Namskar. Now begin Lakshmi puja. Firstly, place a tilak of roli and akshat in the forehead of Lakshmi image. From you heart, pray Goddess Lakshmi and Vishnu to visit your home and grace the puja. If you do not know any Lakshmi mantras, just chant Sri Mahalakshmyai Namah and Sri Mahavishnave Namah hundred and eight times. Offer the scent, flowers, sweets, dhoop, earthen lamp and dishes to Lakshmi and Vishnu. Also, offer dry whole turmeric, the three kinds of seeds, silver coin, currency notes, pan leaves and betel nuts to Lakshmi. Wave camphor in front of the idol and do Namskar. Now worship Lord Kuber Puja. 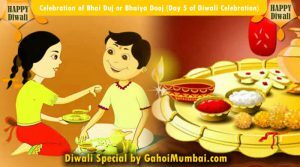 Offer the scent, flowers, sweets, dhoop, earthen lamp and dishes to Kuber. Wave camphor in front of the heap of rice representing Kuber and do Namskar. Do Lord Indra Puja. Offer the scent, flowers, sweets, dhoop, earthen lamp and dishes to Indra. Wave camphor in front of the heap of rice representing Indra and do Namskar. Do Saraswati Puja. Place roli and rice as tilak on the forehead of Saraswati. Offer the scent, flowers, sweets, dhoop, earthen lamp and dishes to Saraswati. Wave camphor in front of the image and do Namskar. In the end, do elephant puja. You will find the pictures of elephants near Lakshmi. Offer roli and akshat tilak to these elephants and offer sugar cane sticks to them. Go around the altar with the family members and do Namskar. Distribute the prasad to all. Let the main lamp stay lit overnight. From untruth lead us to Truth. From darkness lead us to Light. From death lead us to Immortality. Tumko Nishdin Sevat, Har Vishnu Vidhata. Surya Chandrma Dhyavat Naard Rishee Gata. Jo Koi Tum Ko Dhayata, Riddhi Siddhi Pata. Karam-Prabhav-Prakashini, Bhav Nidhi Ki Trata. Sub Sambhav Ho Jata, Man Nahi Ghabrata. Khan-Pana Ka Vaibhav, Sub Tumse Pata. Ratan Chaturdhsh Tum Bin, Koi Nahi Pata. Urr Anand Samata, Pap Utar Jata. Ram Pratap Maiya Ki Shubh Drashti Chahta. Glory to you, O Mother, glory to you, mother Lakshmi. Shiva, Vishnu, and Brahma meditate on you everyday and night. You are yourself the consort of Brahma, Rudra and Vishnu and the mother of the world. The sage Narada sings your praises and the Sun and the Moon meditate on you. he who centres his attention on you becomes a recipient of all prosperity and accomplishment. There are a lot of sweet cuisine which are prepared on the occasion of Diwali. We are giving some recipes for delicious delicacies and sweets. 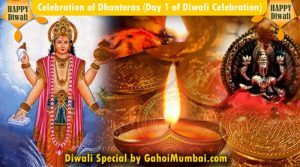 ← Dhanteras – Significance, Legends and Celebration! 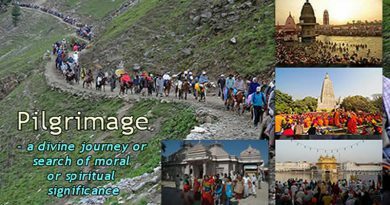 About Hindu Pilgrimage and its India and Overseas sites!